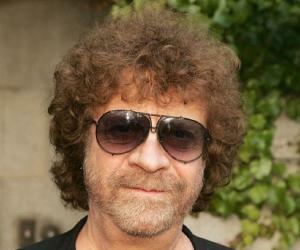 Jeff Lynne is a noted English songwriter, singer, instrumentalist and record producer. Check out this biography to know about his birthday, childhood, family life, achievements and fun facts about him. Jeff Lynne is a noted English songwriter, singer, instrumentalist and record producer. He developed an early passion for music, leaving school at the age of 15 to form his first band, ‘Rockin' Hellcats’. Thereafter, he moved to the band ‘The Chads’ at the age of 17 and ‘The Nightriders’ (later ‘Idle Race’) at the age of 19. 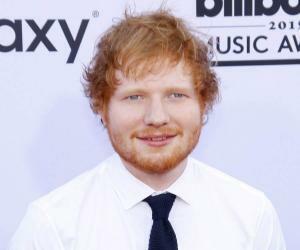 At the age of 21, he released his first album with the ‘Idle Race’, producing another in the following year. But as they failed to succeed commercially he joined the British rock band ‘The Move’, releasing two albums under its moniker. At the age of 23, he co-founded Electric Light Orchestra (ELO), became its main songwriter and producer within a short span and released a number of hit albums under its banner. By the time ELO disbanded in 1986, he had become well-known as songwriter and producer. He has spent his later years producing albums and writing songs for established singers; ‘The Beatles Anthology’ being one of his greatest works of this period. He also revived ELO and released number of albums. Music is in Jeff’s blood. He developed an early interest in it, listening to his grandparents, who were performing musicians, inheriting his talent from them. His father, although a non-musician, was also a great lover of classical music. He could play classical tunes with one finger. Possibly in 1954, his parents took him to see ‘The High and the Mighty’, an American disaster film. Its music, scored by Dimitri Tiomkin, greatly impressed little Jeff, leading to a lifelong passion. When Jeff was nine years old, the family moved to a council house at 368 Shard End Crescent. He spent the rest of his youth here, talking in a Brummie accent, attending Alderlea Boys' Secondary School and supporting Birmingham Foot Club. At the age of 13, he first heard Roy Orbison’s ‘Only the Lonely’ on the radio and fell in love with rock music, becoming his loyal fan. Eventually, he also developed a liking for Del Shannon; but initially failed to appreciate the Beatles. He found their song ‘Love Me Do’ especially horrible. His opinion about the Beatles changed when he heard ‘Please Please Me’. Inspired by the song, he asked his father for a guitar. Eventually, his father got him one for £2 and practicing day and night on it, he soon became an exceptionally good guitarist. His next inspiration came from a concert he attended. When he was still a school student, his father took him to a concert by Del Shannon at Birmingham Town Hall. 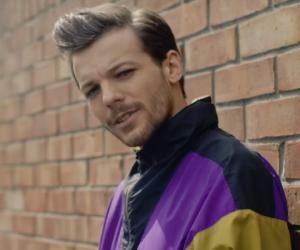 He was so overwhelmed by it that he decided to form his own band and devote his life to music. In 1963, 15 year old Jeff Lynne left school to form his first band with Robert Reader and David Walsh. His mother, who wanted him to be a cameraman, tried very hard to dissuade him; but he remained steadfast in his goal. Originally, named the ‘Rockin' Hellcats’, the group practiced at Shard End Community Centre, mostly using Spanish guitars and inexpensive electrical instruments. Later they started performing at the centre once a week, changing the group’s name first to ‘Handicap’ and then to ‘Andicap’. In due course of time, they started playing more gigs in and around Birmingham, and started having weekly bookings at the Regal Cinema in Handsworth, where they played between the Saturday matinee film screenings. When in 1964 Robert and David left the group, Jeff continued to run it, finding replacement for them. Towards the end of 1964, Jeff himself left ‘Andicap’ and joined a local band called ‘The Chads’. In 1965, he acquired his first studio recording equipment, a stereo reel-to-reel tape recorder. In 1966, he left ‘The Chads’ to join ‘The Nightriders’ (later renamed as ‘The Idle Race’) as the lead guitarist. Very quickly, he became the group’s chief songwriter. In October 1968, ‘Idle Race’ released their first album, ‘The Birthday Party’, with Lynne as the lead guitarist, singer and pianist. The songs were mostly written by him. Although it was warmly received by the critics, it failed to chart in the UK or USA. In November 1969, the group released their second album, ‘Idle Race’, with Jeff as its producer. The album gained critical acclaim, but once again failed to crack the chart. By then, Roy Wood had formed ‘The Move’ and frustrated by repeated failures, Jeff joined the new group in February 1970. In December 1970, ‘The Move’ released ‘Looking On’, the group’s third album and the first to feature Lynne. But by then, Lynne, Wood and Bev Bevan had decided to form a new band, Electric Light Orchestra (ELO) and had started working on their debut album, 'The Electric Light Orchestra’. In June 1971, they released Move’s fourth album, ‘Message from the Country’, simply to fulfill contractual obligations. Six months later, on 1 December 1971, they released ELO’s first album, 'The Electric Light Orchestra’. In July 1972, Wood left ELO, leaving Lynne as the group’s main songwriter and producer. Meanwhile in May 1972, they had started recording their second album, ‘Electric Light Orchestra II’. All its tracks, except two, were written by Lynne. ‘ELO 2’ was released in January 1973, reaching the British Top 40 album chart. Later in November/December, they released their third album, ‘On the Third Day’. Although both these albums were critically acclaimed they failed to impress Lynne’s father, who told him that his music did not have any tune. 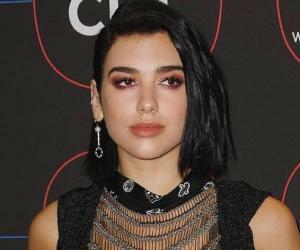 His father’s criticism led Lynne to embark on a new project, a concept album entitled ‘Eldorado’, writing about a man who escapes his mundane reality by journeying into the fantasy land. Released in the USA in September 1974, it was quickly certified Gold in USA and Silver in UK. ‘Eldorado’ was followed by equally successful ‘Face the Music’ (September 1975) with its single ‘Evil Woman’ becoming the band's first worldwide hit. Lynn had written the song in thirty minutes as filler. By early 1976, it had been placed in the Top Ten chart both in UK and USA. ELO’s sixth studio album, ‘The New World Record’, was a massive hit. Released in October/November, 1976, it sold five million units worldwide within one year, eventually reaching multi-platinum status both in USA and UK. In it, Jeff’s songwriting reached a new high and most of the songs came very quickly to him. In 1977, the band released the album ‘Out of the Blue’, with which they reached the pinnacle of their chart’s success. It was followed by the albums ‘Discovery’ (1979), ‘Time’ (1981), ‘Secret Message’ (1983) and ‘Balance of Power’ (1986). Concurrently, he also wrote songs for established singers, one of them being Dave Edmunds’ ‘Slipping Away’. In 1986, ELO gave number of performances across Europe, with the last performance being held in Stuttgart, Germany on 13 July 1986. ELO disbanded after that. By that time, his reputation as songwriter and producer had spread far and wide and he was invited to contribute to number of films. In late 1986, Jeff Lynne was invited to coproduce George Harrison’s comeback album, ‘Cloud Nine’. While working on it, Harrison proposed that two of them should form a band. Eventually a new group, ‘Traveling Wilburys’, consisting of Harrison, Lynne, Bob Dylan, Roy Orbison and Tom Petty, was formed in April 1988. Lynne used his first guitar, bought by his father for £2, until 2012, writing his first songs on it, saying “The guitar taught me how to be a songwriter”. Referring to his stereo reel-to-reel tape recorder, bought in 1965, he said that it taught him how to be a producer. After his years with Wilburys, Lynne returned to production work, producing ‘Into the Great Wide Open’ for American rock band ‘Tom Petty and the Heartbreakers’. But his best work of this era was ‘The Beatles Anthology’, a three-volume set of double albums. Starting the work from February 1994, he produced ‘Free as a Bird’ by March. The song was recorded in 1977 by late John Lennon. The entire work was completed by 1996, with ‘Anthology 3’ being released in October of the same year. Concurrently, he continued songwriting for well-known artists. By 2000, he revived Electric Light Orchestra, buying out 50% rights to its name from Bev Bevan and released the album ‘Zoom’ under its moniker in 2001. Mostly recorded by Lynne, it also featured Ringo Starr and George Harrison as guest musician. In 2001, Lynne began working with Harrison on the latter’s last album, ‘Brainwashed’. After Harrison’s death on 29 November 2001, Lynne completed the overdubs, releasing it on 18 November 2002. Also from 2001, he started working on ‘Mr. Blue Sky: The Very Best of Electric Light Orchestra’. He was heavily involved with ‘Concert for George’, held on 29 November 2002 at the Royal Albert Hall, London, as a memorial to George Harrison, where he sang number of songs. Later he produced ‘Concert for George DVD’, releasing it in November 2003. In 2006, he collaborated with Tom Petty to coproduce the latter’s third and final solo studio album, ‘Highway Companion’. He also collaborated in number of tracks, playing bass guitar, rhythm guitar, keyboards and also as backing vocal. From 2010, he started working on his second solo album, ‘Long Wave’, releasing it on 8 October 2012. It debuted at number 7 on the UK Albums Chart and at number 1 on the UK Top 40 Independent Albums Chart. Also on 8 October 2012, he released ‘Mr. Blue Sky: The Very Best of Electric Light Orchestra’, mostly featuring re-recordings of some of their old hits. The album debuted at number 8 on the UK Albums Chart and at number 2 on the UK Top 40 Independent Albums Chart. On November 13, 2015, Lynn released ELO’s thirteenth album, ’Alone in the Universe’, containing new songs written by him alone. It peaked at number two on the Billboard Top Rock Albums and number four on the UK Albums Chart, where it was certified platinum. On 24 June 2017, Lynne performed at Wembley Stadium, London, playing a set list of 24 songs. It was attended by around 60,000 people. Later, songs were released on DVD and CD as ‘Wembley or Bust’. 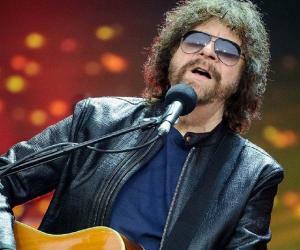 Jeff Lynne is best known for his ELO album ‘Out of the Blue’, released in October 1977. Written and produced entirely by him, it sold ten million copies worldwide, quickly reaching multi-platinum status both in UK and USA and remaining in the UK charts for about 108 weeks. In 1972, Jeff Lynne married Rosemary Adams. The couple divorced in 1977. In 1979, he married Sandi Kapelson and had two daughters with her. The elder, Laura Lynne, was born in December 1979, while his younger daughter, Stephanie, was born in 1981. Eventually they also divorced. Currently, he is living with Camelia Kath, former wife of actor Kiefer Sutherland. In 2014, Lynne received a star on the Birmingham Walk of Stars in Birmingham. He was inducted into the Hollywood Walk of Fame in 2015 and into the Rock and Roll Hall of Fame in 2017.